"Whether it's anxiety, depression, bullying, addiction, poverty, or identity issues, everyone experiences struggles that affect emotional well-being. In Bloom aims to reduce the stigma around youth mental health, and encourage creativity, community, and generosity among Toronto's teens." 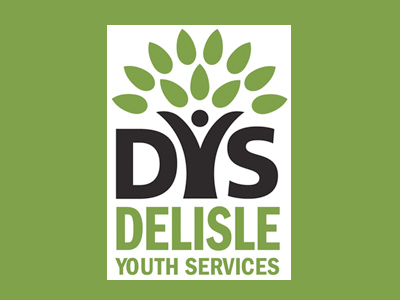 Delisle Youth Services (DYS) supports and encourages youth to navigate safely through their teen years, and grow into confident, productive adults. To make this happen, DYS provides programs wherever they are needed--at home, at school, and in the community. Their services include: counseling, a group home, a day treatment program, in-school programs, an LGBTQ youth program, a drop-in arts studio, an art gallery, a youth centre, and residential case management for teens with complex special needs. In Bloom Multi-Arts Show: Thursday March 20, 2014, Daniels Spectrum, 5-9pm. A youth-led Multi-Arts Show inspired by Kurt Cobain's life and legacy, featuring music, theatre, visual art, film, installations, and fashion created by Toronto senior level high school students under the mentorship of guest professional artists, as well as visual artworks and film produced by Toronto youth via Delisle in collaboration with TIFF Special Delivery. SiriusXM Canada and In Bloom present Come As You Are at Canadian Music Week (CMW), May 6, 2014, at The Great Hall. Members of Sloan, Hidden Cameras, July Talk, DIANA, Luke Lalonde (of Born Ruffians), VAG HALEN, Young Rival, Biblical, Light Fires, and others will perform their favourite Nirvana songs in support of Delisle Youth Services. Tickets available here or at Soundscapes or Rotate This.